Murdered Mongolian aspiring fashion model, translator and mistress to the mighty, Altantuya Shaariibuu, may yet get the last laugh. The men who murdered Altantuya in October, 2006, two police bodyguards to Malaysia’s prime minister, Najib Razak, who was then the defence minister, were acquitted on appeal in 2013 after a farcical judicial process. The evidence was carefully stage managed so that there was little mention of Najib. No evidence produced in court showed that Altantuya was demanding $500,000 to keep quiet about bribes equivalent to $210 million paid by the French armaments company DCN. The bribes were described by DCN as “commissions” paid to Najib’s closest adviser in pursuit of a contract for Malaysia’s $2 billion purchase of three submarines. Even before the trial got fully under way the court dismissed charges against Abdul Razak Baginda, Najib’s policy adviser, the man through whom the bribes were channelled, and who was Altantuya’s paramour. Baginda fled immediately to Britain, where he has spent most of the years since. During the trial of the two bodyguards, Chief Inspector Azilah Hadri and Corporal Sirul Azahar Umar, no one thought to ask the men who it was who offered to pay them up to nearly $28,000 to “settle the case” of Altantuya. That’s what Sirul said in a sworn confession. In all, the trial was a fine example of the skill with which Malaysia’s judiciary has learned to perform in politically sensitive cases involving the United Malays National Organization (UMNO), which has ruled the country at the head of the Barisan Nasional coalition since independence from Britain in 1957. So when this week Malaysia’s Federal Court reversed the 2013 acquittal of the two bodyguards, and upheld their original conviction and the death penalty, it is a signal that the political ground has shifted. 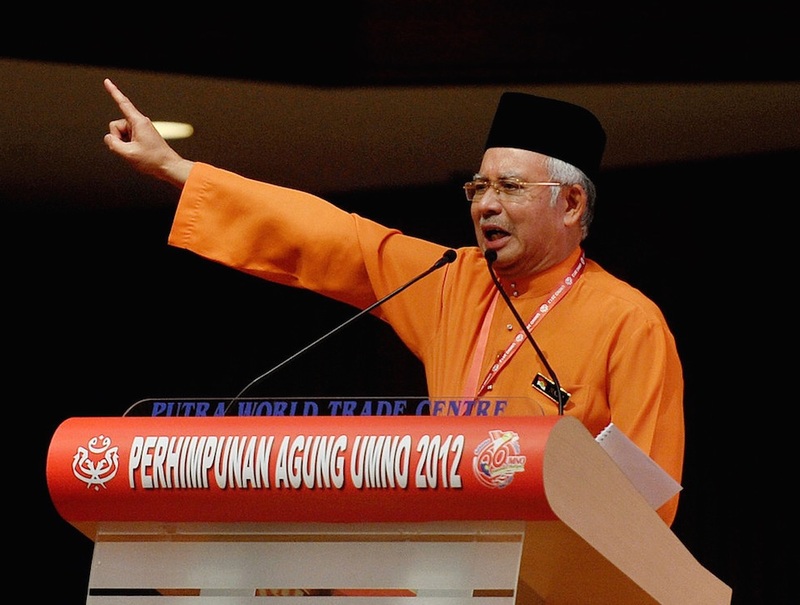 As Prime Minister, Najib has overseen the withering of public support for UMNO and become the target of public derision by Malaysia’s acerbic and still influential former prime minister, Mahathir Mohamad. Indeed, there are rumours on the streets of Kuala Lumpur that Mahathir is preparing the ground for his supporter and the current deputy prime minister, Muhyiddin Yassin, to replace Najib. For Altantuya’s family in Mongolia, who with human rights organizations in Malaysia has doggedly pursued the truth of how and why the 28-year-old woman was killed, the Federal Court’s decision brings some hope that there may finally be judicial recognition of what happened. Altantuya’s short journey from her birth in Mongolia in 1978 to her death on the night of Oct. 19, 2006, in a jungle clearing outside Kuala Lumpur was a dramatic one. Mongolia was part of the Soviet Union at the time and the family lived in Russia for a few years where Altantuya started school. Her mother says Altantuya had a flair for languages and spoke Russian, Chinese, English and some French in addition to Mongolian. She married while in her late teens and had a daughter in 1996, but the marriage ended in divorce. At this time Altantuya left her daughter with her mother and went to Paris to train as a model. This career failed to take off and she returned to Mongolia in the early 2000s, where she married again and had another child in 2003. This marriage also ended in divorce and Altantuya started working as a translator, travelling to China, Malaysia, Singapore and elsewhere. There are differing accounts and records of where and when Altantuya met Abdul Razak Baginda, a defence analyst and adviser to Malaysia’s then Defence Minister Najib. At any rate, Baginda told investigators that Altantuya accompanied him to Paris in 2005 to act as translator in negotiations he was conducting with DCN on behalf of Najib for the purchase of three submarines. The evidence is she became Baginda’s mistress at this time. French prosecutors have conducted an exhaustive investigation into the DCN deal and found that a “commission” of 114 million euros ($160 million) was paid by the arms manufacturer to Perimekar Bhd, a company wholly owned by Baginda and run by his wife. Another 36 million euros ($51 million) was paid by DCN to a Hong Kong company, Terasasi Ltd., which was owned by Baginda and his father. Much of this money is reported to have been passed on to the ruling party, UMNO. Her approach to pressuring Baginda was none too subtle. On several occasions she stood outside his house in Kuala Lumpur shouting for him to come out and acknowledge her. Perhaps concerned he’d got a bunny boiler on his hands, Baginda’s first response was to get a private investigator, Perumal Balasubramaniam, who also worked for him as a security officer, involved in the case. Quite what Balasubramaniam did, beyond collecting scurrilous information, remains unclear, and Baginda didn’t believe for long that the private eye was the solution to his Altantuya problem. By mid-October, 2006, Baginda was becoming increasingly alarmed at Altantuya’s demonstrations outside his house. In one statement Baginda said he called Najib’s chief aide, Musa Safri, for help. As a result the two police bodyguards, Azilah and Sirul, were waiting in a car outside the house on Oct. 19 when Altantuya appeared. They bundled her into the car, and drove her out of Kuala Lumpur and into the jungle. Then, according to a statement made by Sirul, she begged for her life and told the two men she was pregnant with Baginda’s child. They shot her twice in the head. Then they used C4 military explosive to try to destroy the body. Altantuya had told relatives of her scheme to blackmail Baginda for $500,000. When she failed to appear in the following days, Altantuya’s relatives got in touch with Mongolian diplomats who pressed Malaysian counterparts to demand a police investigation. The investigation had rapid results, particularly because Azilah and Sirul admitted detaining Altantuya, but denied killing her. However, after the discovery of her body, both men were charged followed, a few days later by the arrest of Baginda, who was charged with aiding and abetting the murder. When the trial finally started two years later, the charges against Baginda were dropped almost immediately. The court decided the prosecution had failed to make a substantial case against Baginda and ordered him released. Baginda promptly fled to Britain. The trial of Azilah and Sirul rumbled on over the winter of 2008 and on April 9, 2009, both men were found guilty and sentenced to death. They appealed and four years later — August 23, 2013 — the Court of Appeal, citing technical anomalies in the original trial, acquitted them on all charges. Even though the prosecution said immediately it would appeal this decision to the Federal Court, Azilah and Sirul walked free. Azilah showed up this week for the Federal Court decision reaffirming his guilt for Altantuya’s murder and his death sentence, but Sirul didn’t appear and it is not clear where he is. There are some rumours in Kuala Lumpur that he is in Australia. Still unresolved too are allegations made by Baginda’s private investigator, Balasubramaniam. He became a central figure in the case when in July, 2008, he gave a sworn declaration brimming with inflammatory allegations to police. The most explosive was Balasubramaniam’s claim that Altantuya had first been Najib’s mistress, but as the prospect grew that he would become Malaysia’s prime minister, Najib wanted to remove her from his life. Najib, according to the private eye’s statement, passed her on to his chief policy adviser, Baginda. One of Najib’s few public interventions in this case has been to vigorously deny that Altantuya was ever his mistress. Balasubramaniam had second thoughts about his sworn statement. The next day he went back to the police to deny what he had said 24 hours before. Later Balasubramaniam said he was pressured into changing his story by threats to his family, but he hasn’t said who made the threats. Soon afterwards he moved with his family to India, but in early 2013 he returned to Malaysia to give evidence in one of the court actions involving the two police bodyguards. He died in Kuala Lumpur in March, 2013, apparently of a heart attack. His body was swiftly cremated. Editor’s note, 1: Internet images of Altantuya Shaariibuu, as aspiring Mongolian model, are plentiful. Their creators and owners are treating them, however, as income-generators, and are prohibiting unlicensed reproduction. A search on Google images will satisfy even the most prurient of curiosities. Facts and Opinions is an online journal of select and first-rate reporting and analysis, in words and images: a boutique for slow journalism, without borders. Independent, non-partisan and employee-owned, F&O performs journalism for citizens, funded entirely by readers. We do not carry advertising or solicit donations from foundations or causes. Please tell others about us.